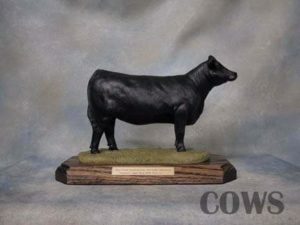 This is an original Sculpture by CM Herden, created in clay, molded and hand cast in Cold Cast Porcelain and then each cast is individually hand painted.These are made to order, so we make it specifically for you when you order. 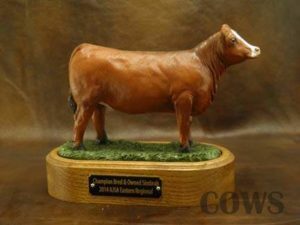 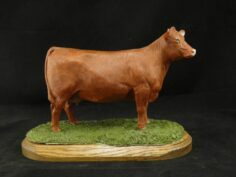 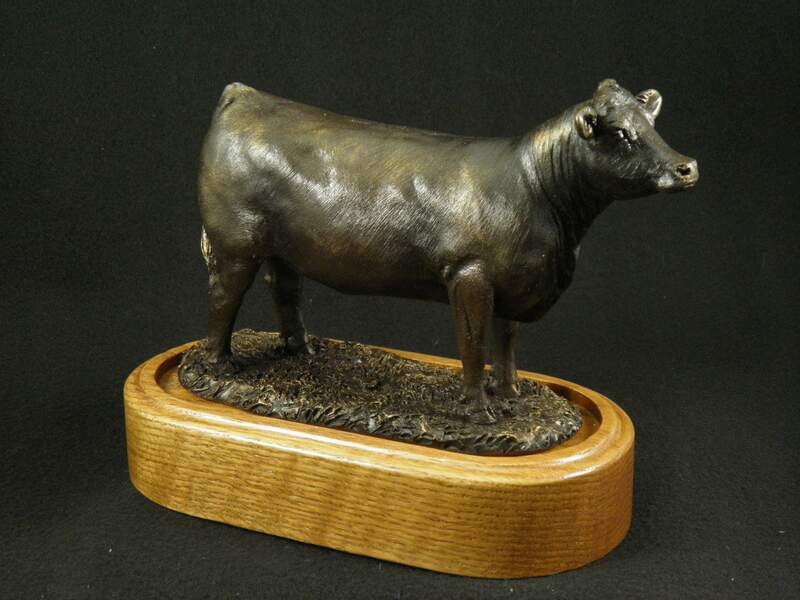 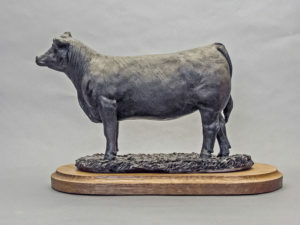 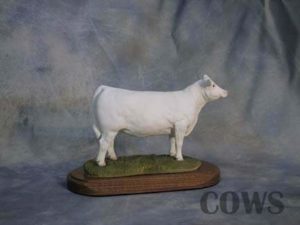 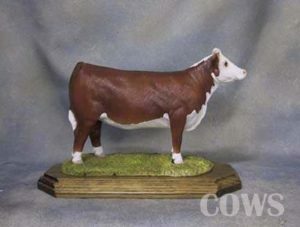 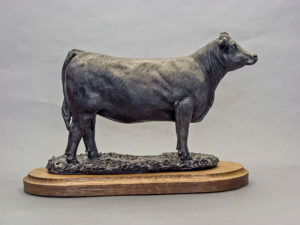 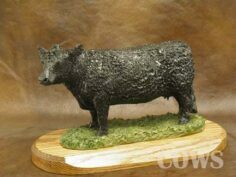 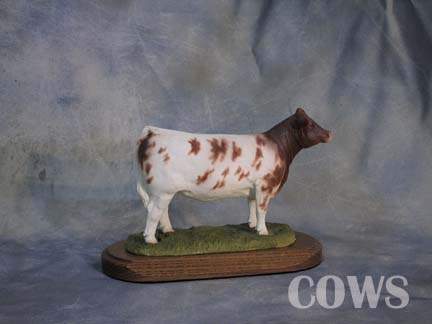 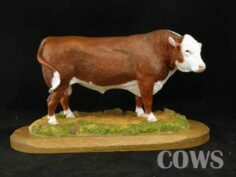 Oak Base included, heifer is not attached to wood base unless requested. 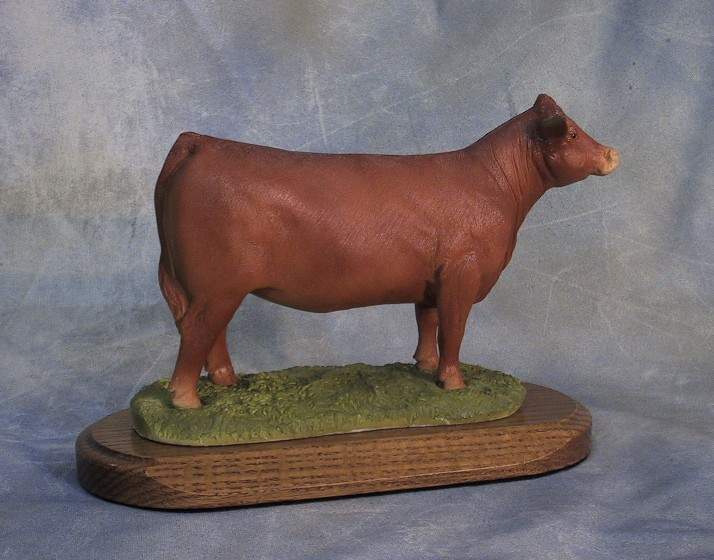 Brass plate (3/4″ x 3″) is also included if you want to add a name or text up to 2 lines.